The Acadia Entrance Scholar-Bursary application is located at Acadia Central. 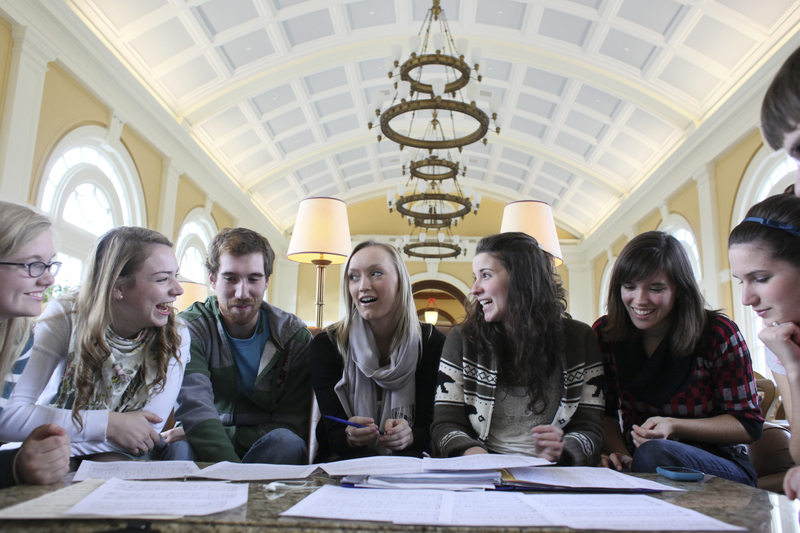 Acadia offers a number scholar-bursaries, which are based on academic standing and demonstrated unmet financial need. Some of our scholar-bursaries, such as the Spicer-Hennessey Scholar-Bursary (valued at more than $40,000) are renewable up to four years. You are a transfer student with a minimum cumulative GPA of 3.67 or 80% average. You can demonstrate financial need. Applying for a student loan is the easiest way to show need. The Harrison McCain Scholar-Bursaries are available annually to students from a Canadian high school entering university. Each award has a program value of $16,000 payable over a four-year course of study in the amount of $4,000 per year. Criteria for the awards include a minimum 80% average in senior year of high school, financial need (must qualify for student loan), leadership qualities, and a recognized initiative in funding your own education. The number of scholar-bursaries may vary from year to year. To have the scholarship renewed, students must meet the criteria. • On the recommendation of the University’s Scholar-Bursary committee, awarded to (a) student(s) entering first year studies in an undergraduate program in either the Manning School of Business or in specified disciplines within the Faculty of Pure and Applied Science (i.e., Biology, Chemistry, Computer Science, Engineering, Geology, Mathematics and Statistics, Nutrition and Dietetics, and Physics). • Recipients must be born in Nova Scotia. • Demonstrated financial need will be an underpinning component for selection. The University’s means test will be used to determine need. • Recipients must be graduates of a Nova Scotia High School with honors; and/or at least an average of 85% or higher. • Preference will be given to graduates of South Colchester Academy in Brookfield or Hants North Rural High School in Kennetcook. If (a) recipient(s) cannot be identified in either of these schools, the University will look to other Nova Scotia high schools for students meeting the Scholar-Bursary criteria. The scholar-bursary has been established by Fred G. Spicer ( BSC Acadia 1973, MSC Acadia 1975) and Bertha L. Spicer (Hennessey) (BSH Acadia 1973) in tribute of Fred D. (1936 Acadia BSC) and Helen E. Spicer; Basil R. and Flora Hennessey; and Anne Baggs (Spicer) (1968 Acadia BSH).